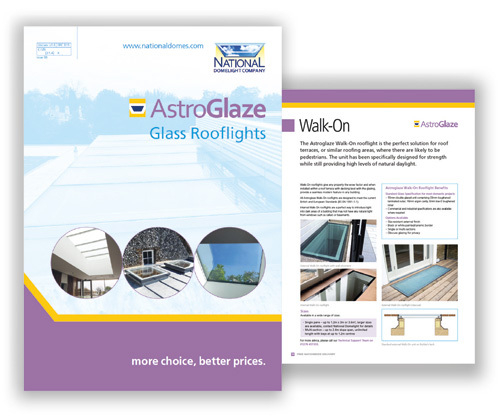 The National Domelight Company has expanded its Astroglaze range to provide even more solutions for large glazed areas. Delivering outstanding levels of daylight transmittance and designed for a stylish, modern aesthetic, the Astroglaze range can be made to order, either as a single piece or larger multi-section units. For 2017, Astroglaze comes in bigger one-piece sizes. This can now cover a maximum area of up to 9m² as a single piece via special order, or even larger sizes when choosing a multi-part solution. There is also the option of a PVC Aero-Fin shroud for internal glazing bars on the multi-part system. 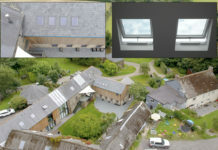 Astroglaze also offers rooflights in a range of shapes and sizes, including flat fixed rooflights and walk-on rooflights. 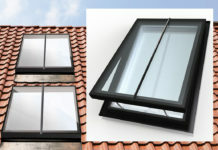 This year NDC introduces new Internal Walk-on Rooflights. 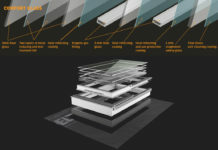 This solution allows light to pass from an internal room through to a basement or floor below, helping to utilise all natural light available. Also new to the Astroglaze range are Electric Access Hatches, which provide easy access to roof spaces or terraces at the touch of a button. Flat Glass Smoke Vents and AOVs are another addition and are fully compliant to BS EN 12101-2 regulations. All Astroglaze products are supplied with argon-filled double-glazing as standard with a triple glazed option. Clear glass can be exchanged for solar control, tinted or fully sandblasted glass options, ensuring the perfect solution is available for any project, whether that be residential, commercial or industrial.